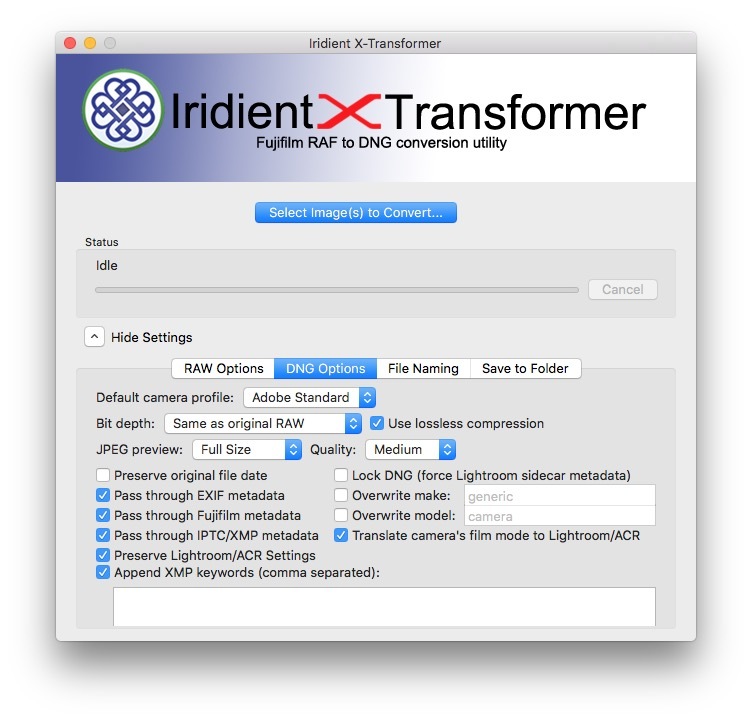 If you are working with Lightroom, and you have converted your files to DNG with X-Transformer, but you also want to work with those files in Capture One, then you will need to be able to work with X-Transformer files in the latter. This is especially true if you haven’t kept the original RAF files, or have lost them, which happened to me recently. Despite the fact that I always recommend to people that you keep both, I’m my own worst enemy when it comes to following my own advice. When working on my laptop while travelling recently, I just converted the RAW images straight off the memory card and didn’t bother backing up the .RAF files. I was short on space, and I hadn’t intended on using anything other than Lightroom, so I didn’t bother backing them up. When I got back, I wanted to try out the new features in Capture One 11.1 which was released while I was away, and then it dawned on me as to why I needed to work out a way of suitably handling X-Transformed files. Anyway, that’s all beside the point now. First of all, as there are a million different ways you can configure X-Transformer, I based the settings that I use off Recipe 1 in my book. If you have the guide you can check that out, otherwise, here is a screenshot of the settings that I almost always use in X-Transformer. One important thing is to make sure that Lens Corrections are set to use metadata. If you have installed Film Simulation colour profiles, you can set those after import too. I have these set as defaults, so they apply automatically on import. If you haven’t come across how to get and install film simulation profiles for capture one, I have a video on how to do it on my YouTube channel. Once you have imported the files, they should work pretty much as standard RAW files. I have noticed a few things though. Chromatic Aberration tends not to be as well controlled using the standard settings, and you may need to use the “Analyse” option to get a better result. I find that using the purple fringing slider fixes a lot of problems too. 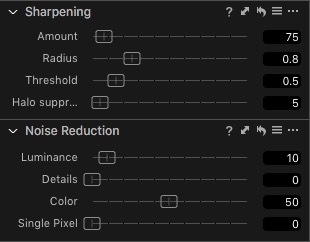 If you do want to use a higher sharpening setting, then using the Halo Suppression slider can help control the amount of sharpening halos that make the image look over-sharpened, so play around with that a bit too. As always, a lot of this comes down to personal choice, so I’ve just presented my own preferences here, and you may well prefer a different look. I think these settings should give you a relatively normal looking file though, without being over-sharpened or overly treated. Anyway, I hope this is useful.